Queer art. Queer space. Queer you. Alberta Playwrights’ Network’s YOUth Riot—now in its fifth year—is a free opportunity for Calgary’s Queer youth to raise their voice and share their stories! 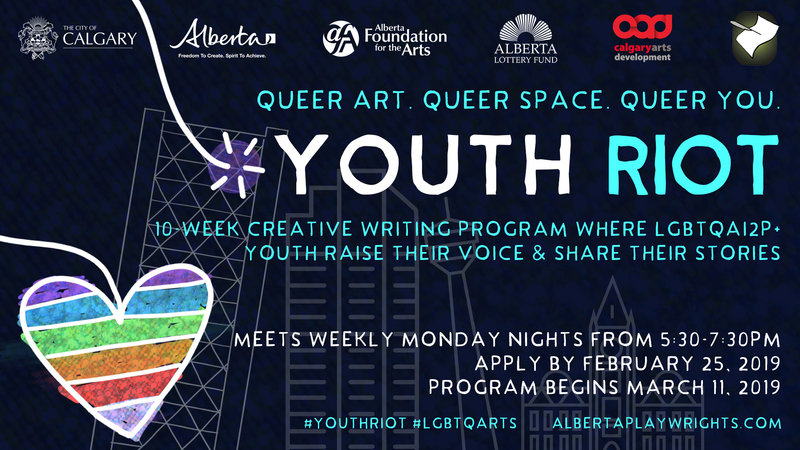 Over the course of 10 weeks, Alberta Playwrights’ Network and guest artists will facilitate a creative writing program for Queer youth, helping them learn skills, meet other queer youth, create, imagine, inspire. This is YOUth Riot. YOUth Riot finishes with a public festival of short pieces created by the participants by and staged by professional actors and directors from the theatre community. We want to hear your story—14 to 21-year-olds across Calgary are encouraged to apply for this free 10-week program where you will learn tools and skills from professionals in the Calgary arts community to help develop your own story and voice. Participation in YOUth Riot is 100% free to you. Absolutely no previous experience necessary. You must be between the ages of 14 to 21 years old to apply. All art created in the program will be featured in a public showcase Monday, May 20, 2019 at 7:00pm at Lunchbox Theatre at the base of the Calgary Tower. All you need to do is complete the application packet and email or scan it then send to Courtney Tromburg, YOUth Riot Program Coordinator at courtney.tromburg@gmail.com. Application deadline is Sunday, February 25, 2019, 12:00am. 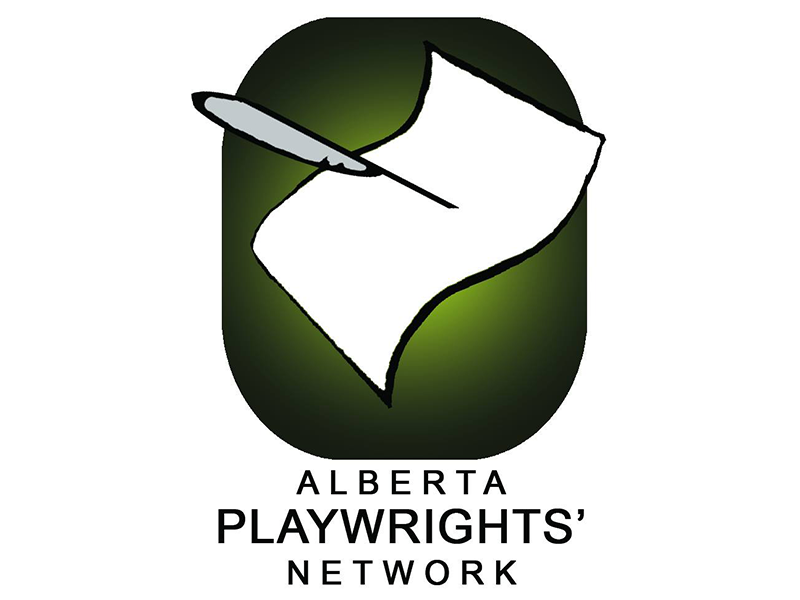 You can apply by either filling out the PDF Application and emailing it or by filling in the Google Form by the same deadline, visit albertaplaywrights.squarespace.com.